San Jamar RCU128V2 Rapi-Kool Plus Cold Chill Paddle, 128 oz. Home / Kitchen Supplies / Cooling Paddles / San Jamar RCU128V2 Rapi-Kool Plus Cold Chill Paddle, 128 oz. Reduce hot liquids and soup to a slightly cooler temperature with this San Jamar RCU128V2 Rapi-Kool Plus 128-ounce. Cold Chill Paddle. 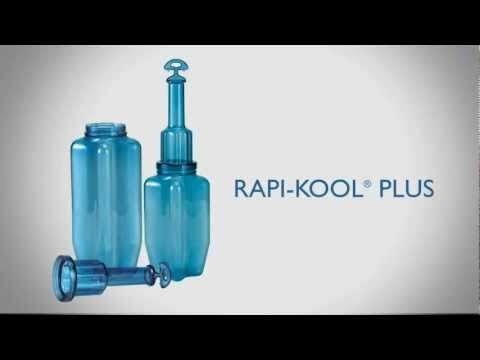 Rapi-Kool Plus helps chill foods from the inside-out, minimizing time-temperature abuse and bacterial growth. Simply fill with water and freeze ahead, or fill with ice and water for immediate use. Fill-Rite design prevents over-filling and breakage. The two-piece design is easy to clean and store; integrated hanging hook for sanitary storage. Food Safety, Rapi-Kool Plus should be washed, rinsed, sanitized and refilled before each use. Made of a Durable polycarbonate that is dishwasher safe.